Set a custom color per Post Category with a jQuery Colorpicker and use the colors in your Wordpress templates to spice up your theme. 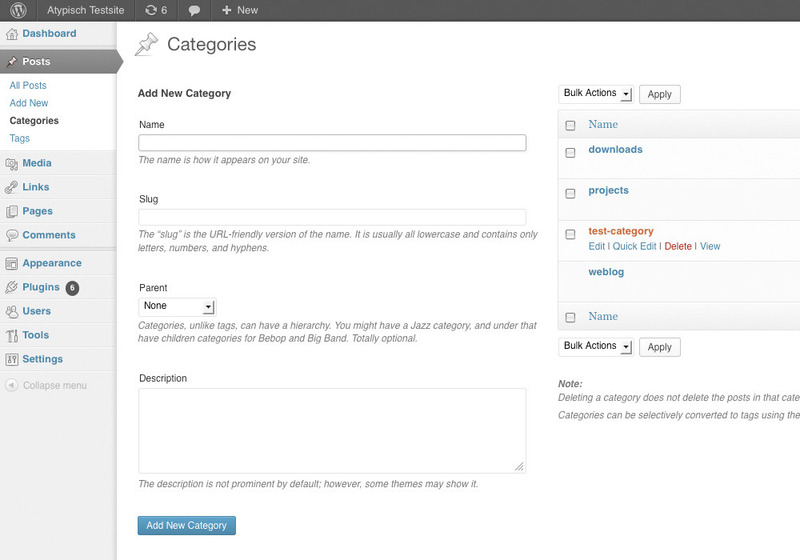 For instance, you can use it to color your Category names, your Post titles, background, lines, etc. in your Theme per category. 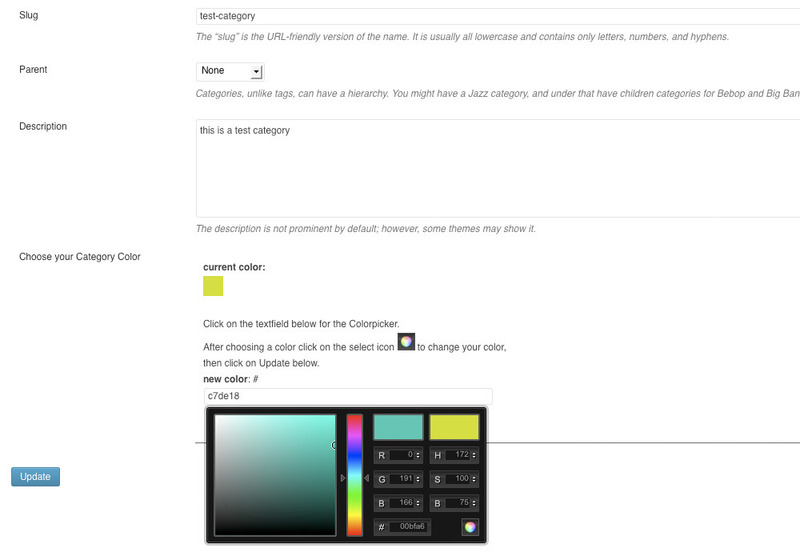 Colors are always easily adjustable through your Category Edit screen with the jQuery Colorpicker. The plugin Category Colors adds a jQuery Colorpicker to your Wordpress Categories if you edit them, so you can choose a custom color for each Category. 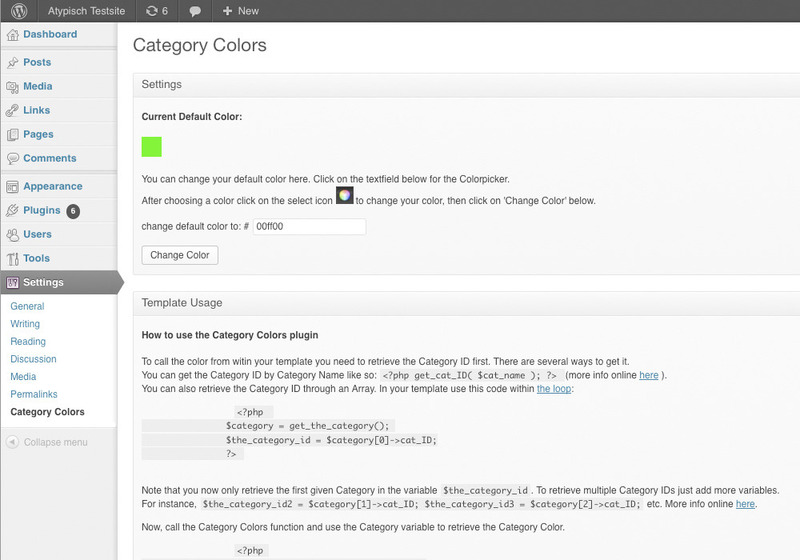 After that you will have to add some code to your template to use the Category Colors. Some examples are in the FAQ and in the included documentation. Can I see it or try it first? If you feel there is something missing from this plugin or you have suggestions for improvement please leave a message at the Comments section of this plugin and I’ll look into it. More information about how to use this plugin on the Atypisch plugin page here.